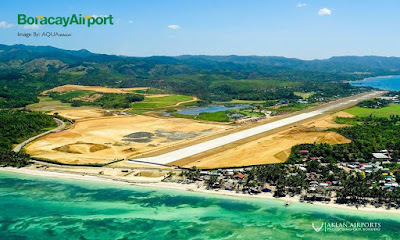 Aviation Updates Philippines - With the on-going runway extension project at the Caticlan Airport, Cebu Pacific Air, Philippine Airlines and AirAsia Philippines are now studying a possible introduction of new flights to Boracay, according to the Centre for Aviation. 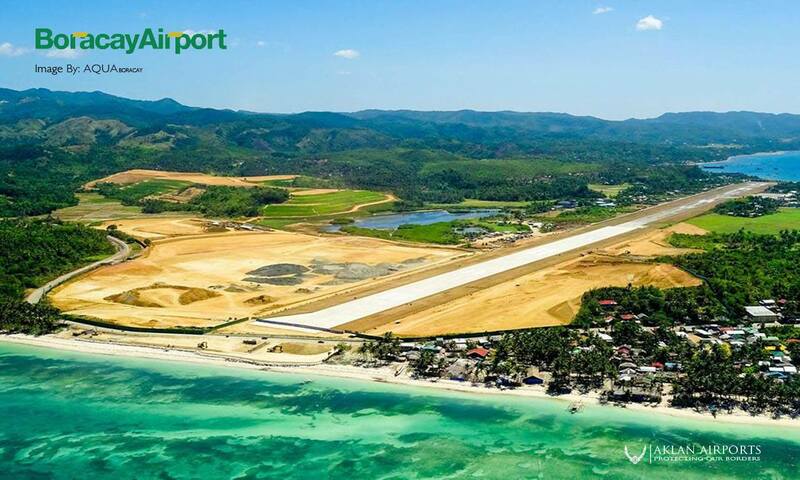 Caticlan Airport will see more flights after the runway project will be completed in 2016. International carriers will be able to launch flights to Boracay using its Airbus A320 aircraft next year. This project also sees a potential for AirAsia Philippines to launch flights. 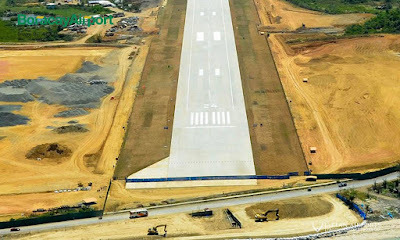 In mid-2014, San Miguel Corporation started the huge runway construction and airport terminal rehabilitation at the Godofredo Ramos Airport in Caticlan after winning the 25-year contract. A hill was flattened near the airport's runway in order for them to extend the runway. The old and short runway at the upper left connected with the new runway on the opposite side. Due to its short runway, several turbo-prop aircraft overshot the runway. Flights, during bad weather, are being diverted to Kalibo International Airport as Caticlan Airport has short runway length and limited infrastructure to guide aircraft upon landing. However, new navigational equipment will be installed to continue operations during bad weather. Philippine Airlines, after the runway extension project has been completed, will transition its flights to an all-Airbus A320 operation. The leading budget airline, Cebu Pacific, will also utilize its Airbus A320 replacing the 72-seat ATR 72-500 on flights to Caticlan. However, more flights to Caticlan will decrease flights to Kalibo. 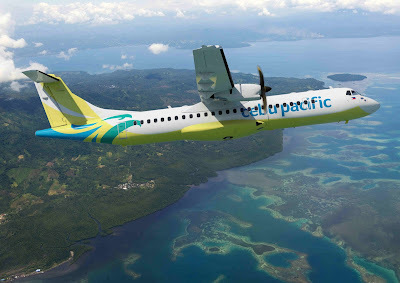 According to the aviation think tank, PAL will transfer its Kalibo-Taipei flights to Caticlan while Kalibo flights going to Busan and Seoul will remain at Kalibo as the 1800 meter runway will not be capable of taking a fully-loaded Airbus A320 to the skies. Cebu Pacific will also transfer its newly launched Kalibo-Hong Kong to Caticlan and will upgrade its Manila-Caticlan route. Its affiliate, Cebgo, which operates charter service from Kalibo to Hangzhou and Shanghai, will unlikely transfer flights to Boracay. As SilkAir relies on Boracay-bound tourists, the airline might relocate its Kalibo-Singapore service to Caticlan once the airport will be capable for A320 flights. The Singaporean airline currently operates Airbus A320-200 with fewer seats to Kalibo which may be able to land at Caticlan due to its slight payload restrictions. SilkAir inaugural flight from Singapore to Kalibo. "SilkAir also could avoid any potential payload restriction by operating all its flights on a Singapore-Caticlan-Cebu triangle routing. 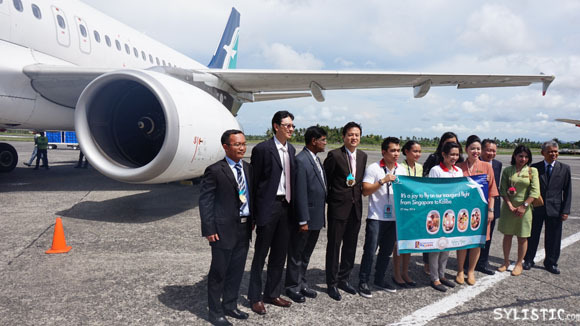 SilkAir already combines its Kalibo flights with Cebu as part of triangle routings which go in both directions depending on the day of week," CAPA said.